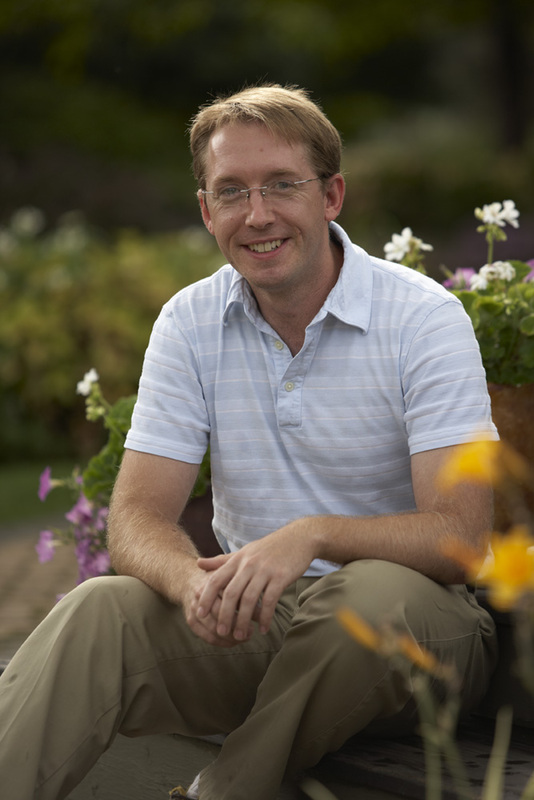 Michael will present “Celebrate the Seasons — Make Your Garden Festive from Labor Day to Easter” at 3 p.m. Sunday (Sept. 9) at the Home & Garden Show and Holiday Fest at the Ohio Expo Center in Columbus. The show also features Genevieve Gorder of HGTV’s Design Star, and a program on holiday cookies by the Dispatch Kitchen’s Robin Davis and Dino Tripodis from Sunny 95. (For more information, please visit www.dispatchevents.com). For the fall semester at Columbus State Community College, Debra is teaching a new class — The Science of Plants. 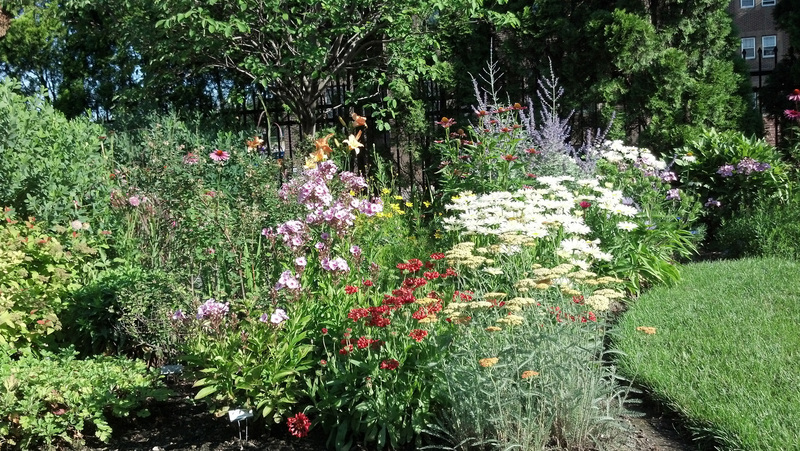 Gardens to Drive For: Columbus, Ind. My childhood dream of becoming an architect ended when I failed pre-calculus twice, the second time despite tutoring. Yet I still harbor one dream from that freshman year in college: Explore the architectural treasure trove in Columbus, IN. 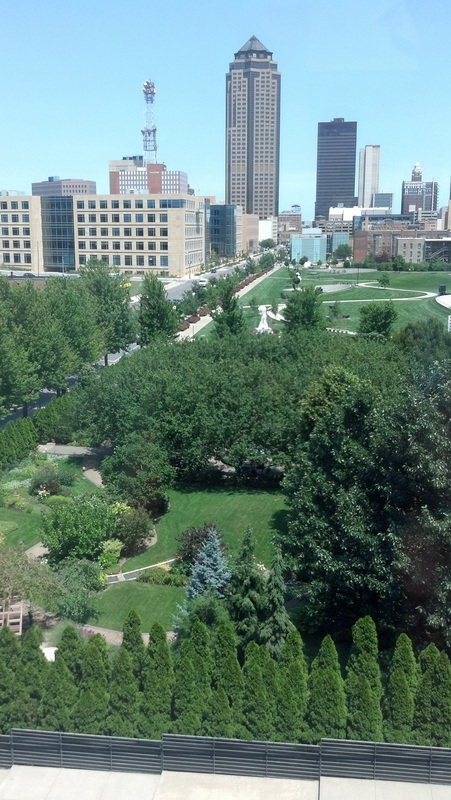 Turns out there are gardens and parks, too. Architectural masters, such as I.M. Pei, Richard Meier, Robert Venturi and Eliel and Eero Saarinen, left a legacy, thanks to the largess of the Cummins Engine Foundation, which paid design fees for many of the works. The place is such an embarrassment of riches , it wins raves from the American Institute of Architects to National Geographic Traveler. Landscape designers, such as Michael Van Valkenburgh, are also represented. And while we’re name dropping, let’s not omit Henry Moore and Dale Chihuly, among the artists with works found around town. A personal favorite among architects is Eero Saarinen, the son of the Finish design duo. His arch in St. Louis is perhaps his best-known design. But Columbus has three of his works, including the Miller House and Garden. 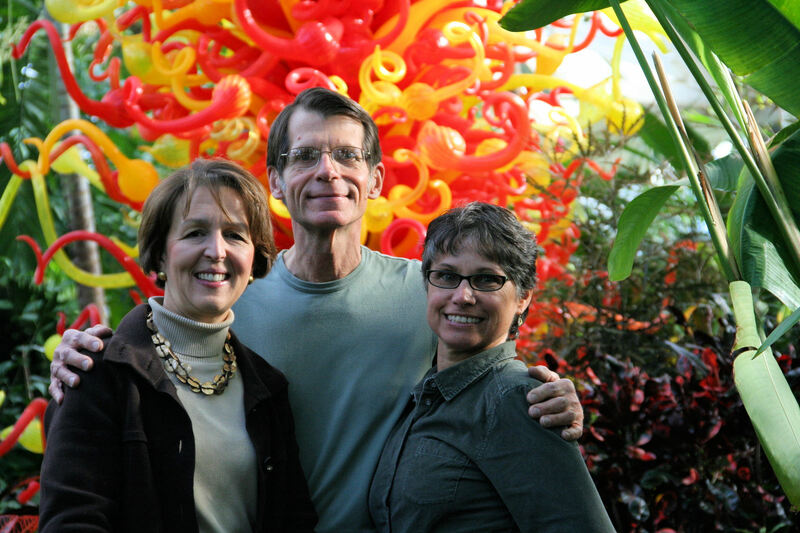 Now owned by the Indianapolis Museum of Art and open to the public. This 1957 classic is surrounded by an equally impressive Modernist garden created by landscape architect Dan Kiley. 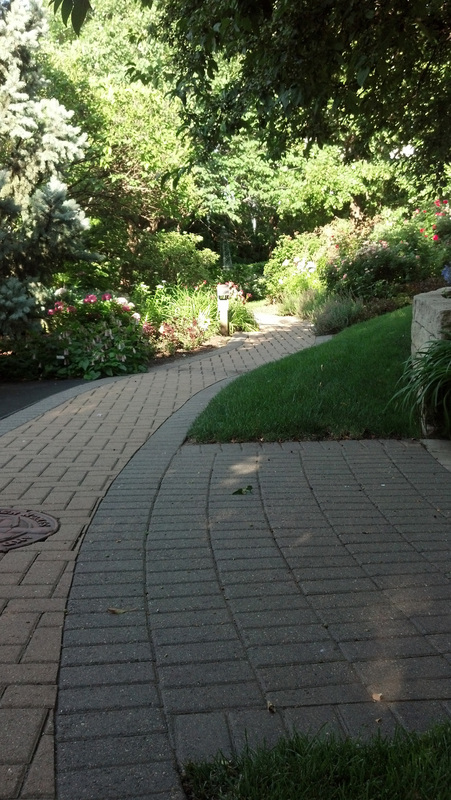 For those visiting Columbus on Sunday (June 28), there’s a tour of six private lakeside gardens. After ogling gardens, landscapes and structures, consider Eisbury’s Greenhouses and Garden Center, said to be one of Indiana’s largest retail-wholesale greenhouses. Or check out other area attractions, such as the Edinburgh Premium Outlets and Indiana’s largest antique mall. For more information on Columbus and environs, please visit the visitor and convention bureau . More than 50 springs have passed since I began gardening but planting seeds remains my favorite part of the process. 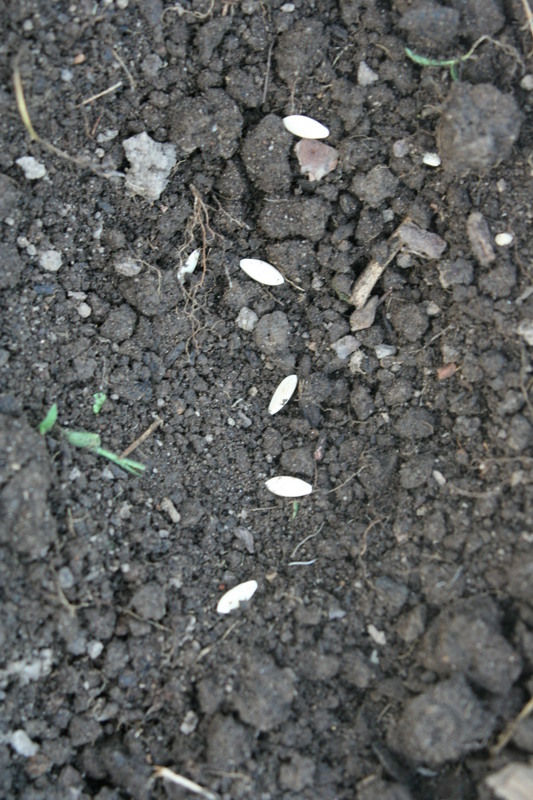 Science says germination results from the right combination of light, temperature, moisture, soil conditions and time. I don’t know what you think, but to me, it’s mostly magic. Cover the seeds with soil, water, wait and watch for the tiny green shoots as fragile, persistent and tough as life itself. You can enhance the “magic” with materials almost as bizarre as “eye of newt and toe of frog.” Coffee grounds, shredded newspaper, rotted barnyard manure, grass clippings, chopped leaves, vegetable peelings and garden soil are part of my “potion” for making compost. Not only am I “upcycling” cast-offs, such materials are readily available — unlike frog toes. Compost boosts the countless legions of beneficial soil-borne microorganisms and nudges clay or sandy soil closer to that ideal combination of moisture retentive and free draining. Before planting in the vegetable garden, I spread an inch or two layer of compost over the site and till it in with a hoe. Perennial and shrub beds and borders are blanketed each fall under a layer of chopped leaves that invariably include grass clippings. This is what I consider horizontal composting. By early the next summer, earth worms and other soil dwellers will have transformed the leaves into organic matter and mixed it into the soil. Over the years I’ve gotten closer to having that ideal mix. 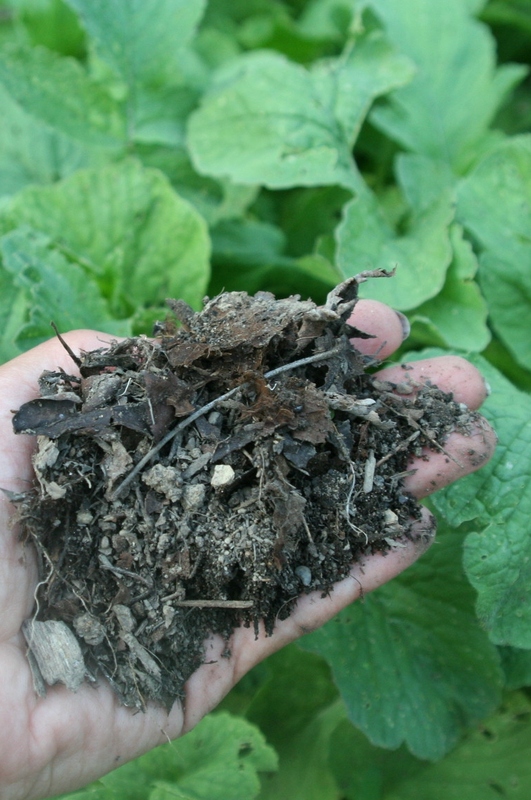 Without intervention, however, soil returns to its original state. Clay soil becomes a place where tiny roots, only a few cells thick, can’t penetrate. Sandy soil dries out long before those mysterious forces trigger germination. Even if shoots appear, little in the way of water and nutrients will be found to nourish and sustain life. So avoid the frustration. Take advantage of a little compost magic to help the roots along and ensure lush foliage and fruits. 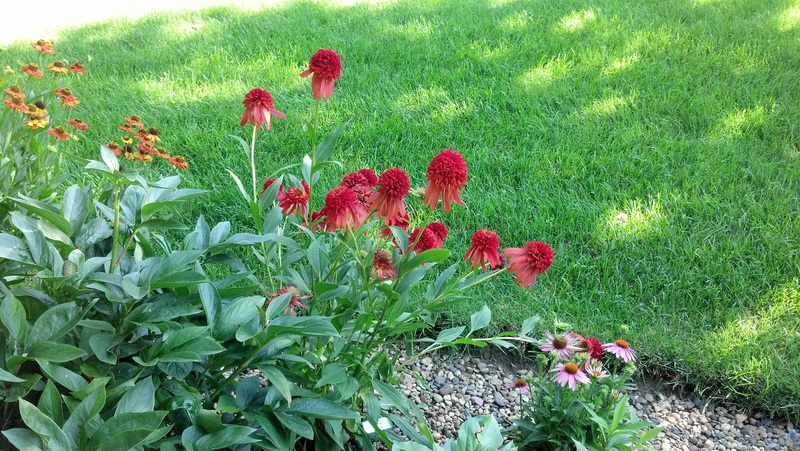 What makes a plant desirable? The answer to that question varies with the gardener. Good fall color, beautiful flowers, winter interest, edible – tasty – parts, and wildlife attractor are attributes that come to mind. All of these can be found in our native serviceberries (Amelanchier laevis and A. arborea) and their hybrid “child” (A. x grandiflora). Just before sitting down to write, I went outside to see if there was a chance of a snack. The birds have eaten most of the berries, and the remaining ones are turning into “raisins”. But I still remember the taste of the delicious cherry-blueberry fruit that covered the tree in late May to early June. As I have sipped my morning tea, I’ve watched robins, cardinals, woodpeckers and bluejays trying to grab some fruit on a fly-by. It’s an entertaining way to start the day. I’m often asked for plant recommendations. The serviceberry is my number one tree for smaller spaces. 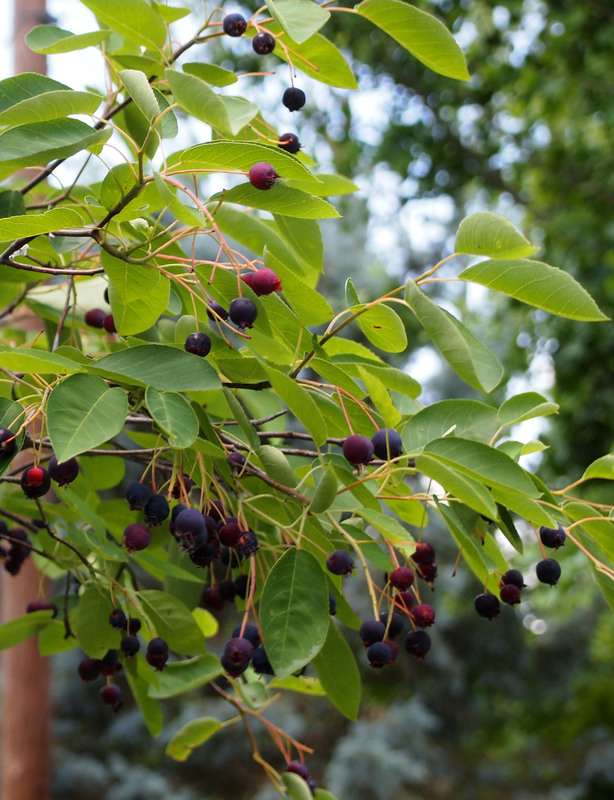 In most landscapes, serviceberry grows 15-25’ tall and 10-15’ wide. It is a secondary canopy tree so it grows well in a sun to part sun location. You have a choice of habit: in nature the serviceberry is multi-stemmed, but it is often pruned and trained to a single trunk. Both forms are attractive and have different landscape functions, but I confess – I prefer its natural multi-stemmed beauty. 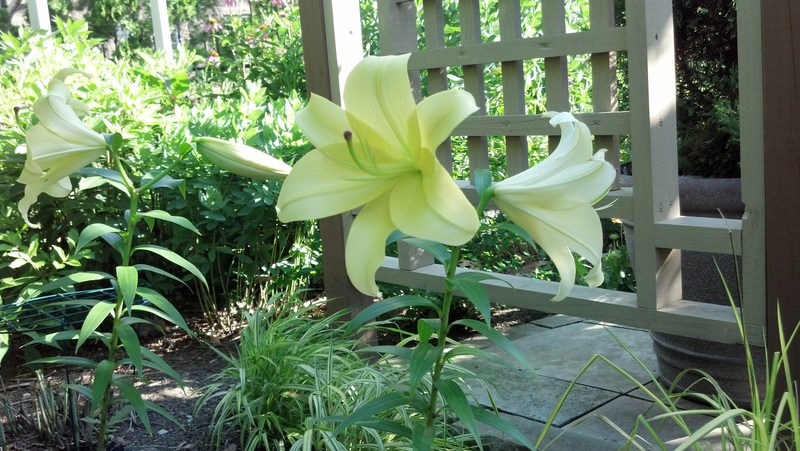 One of the most popular garden trends is to incorporate food plants into one’s garden. 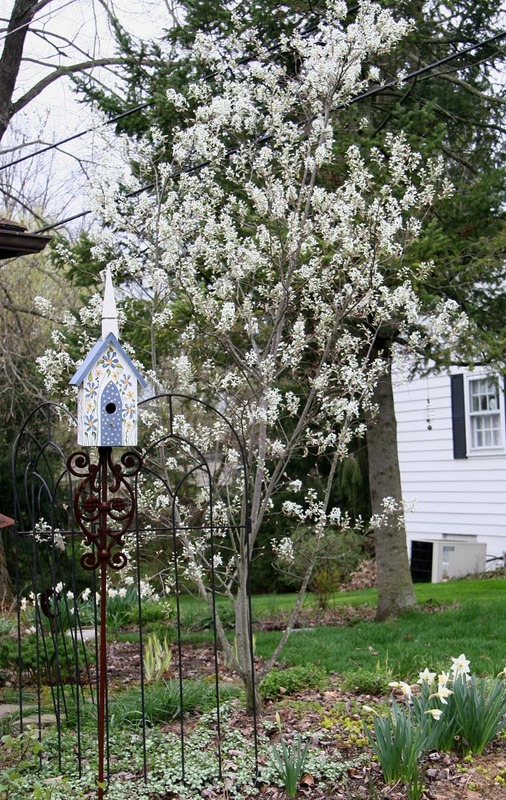 Adding a serviceberry to your yard is an excellent way to start. 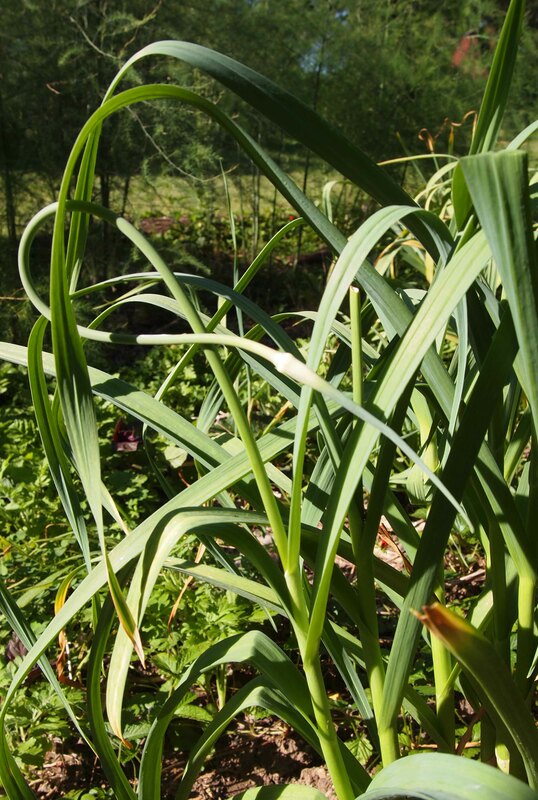 Sorry for the short notice, but the time is now: go outside and collect your garlic scapes, otherwise known as the flowering stem of a garlic plant. Flower and seed production takes energy away from the developing head of garlic which you will be harvesting at the end of June to mid-July. 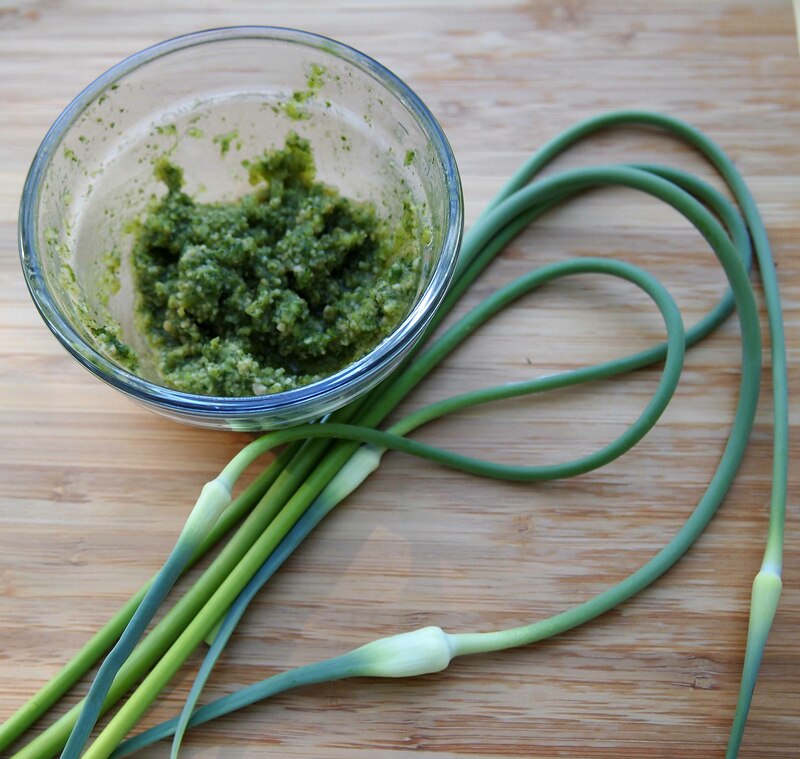 Now, don’t throw those scapes away! You can sauté them, add them to pasta, rice and vegetable dishes or you can create a subtle pesto that has the smell and flavor of leeks. Last night it was a bright green swirl of flavor in a seafood stew. Once tomato season arrives, it will be an accent to our favorite gazpacho. This flavorful food accent is easy to make. I use a rough ratio of scapes to olive oil to nuts. Pesto is a “recipe” that is infinitely morph-able. I have added a handful or two of parsley or not. I’ve used cashews – my favorite for garlic scape pesto – almonds, pecan, pine nuts, pistachios and walnuts. Freshly ground pepper is a must and salt is up to you. Leave the cheese out. It either gums up the texture or covers the delicate flavor of the pesto. Add cheese later to the finished dish. We freeze “extra” pesto in 2 oz. plastic cups. This year we harvested close to 400 scapes from large garlic plants and first year seedlings. We will harvest the large plants for their bulbs and spread out the seedlings for next year’s crop. Using a food processor, process to a paste, adding olive oil if it seems too dry. Bon appetite! Cherries and berries make a great combination. I prefer sour cherries from our backyard and wild black raspberries from the preserve near our house, but this week I used store-bought raspberries since the black raspberries aren’t ripe yet. The recipe also works well with frozen fruit. 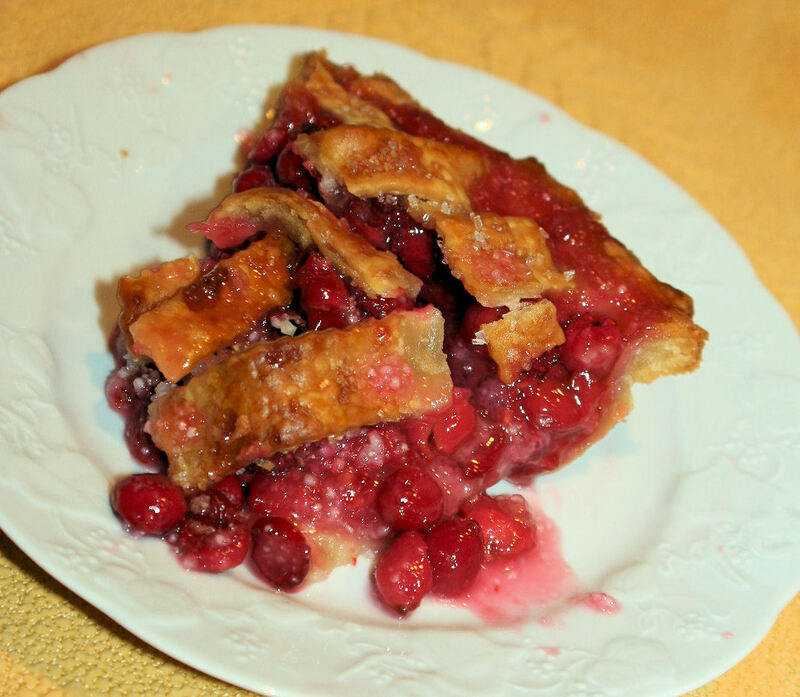 In fact, we freeze some cherries and berries for a pie for Christmas Eve dinner. Preheat an oven to 425 degrees. In a large bowl, stir the tapioca, sugar and salt. Add the cherries and berries and toss to mix well. Pile the fruit mixture into an uncooked pastry-lined pan and dot with bits of the butter. Cover with the top crust, trim, flute the edges and cut vents. For another option, try a lattice top. Bake for 20 minutes, then reduce the heat to 350 degrees, cover edges of crust with foil and bake for 35-40 minutes. 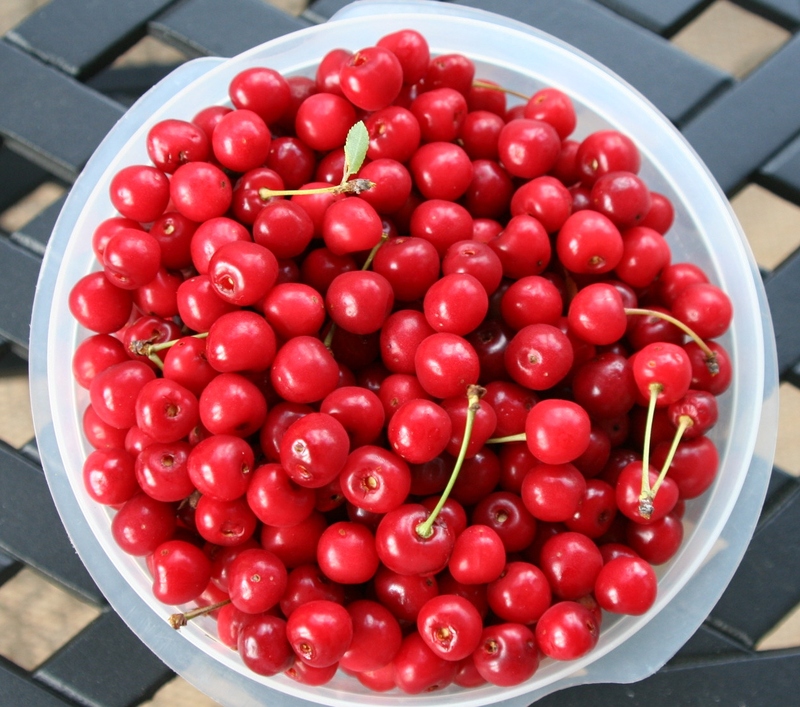 We harvested our first cherries from our backyard cherry trees. They’re a bit early and a bit small, but I’m not complaining. 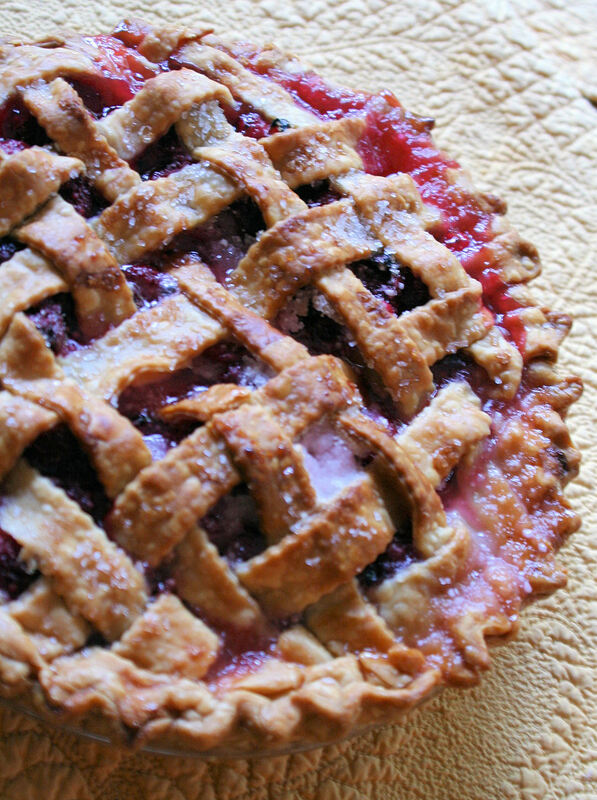 A fresh cherry pie sounds wonderful!